Whether you have a dedicated media room or simply love to curl up on the sofa to watch some TV, setting the right mood and light levels for an evening’s entertainment can be challenging thanks to excess light and heat from outside your Hollywood hideaway. The blazing summer sun can heat up the room while creating glare on your screen, making it harder to enjoy your favorite shows, and having to manually adjust all your windows to reduce or eliminate light can be a pain when you’re all settled in with soda and some popcorn. Don’t throw in the remote just yet, though. Check out our suggestions on how you can use window treatments to get the most out of your media room. Few things are more annoying when you’re watching a film or show than excessive glare. While enjoying a movie now and then probably won’t lead to computer vision syndrome, excessive glare can cause stress, headaches, and overall discomfort. And while we all love to soak up some sun now and then, sitting in full sunlight during the summer might push you, and your air conditioner, into the red. Fortunately, the right window treatments can make watching television and movies much more comfortable. Reducing both ambient light and heat will not only improve your comfort, but help you save money, since blocking excess sunlight can help keep your HVAC system from having to work quite as hard to cool your home. Cellular shades, for example, can cut both light and heat, thanks to their unique structure that traps air to create a climate-control barrier. They’re also available in a range of opacities, including total blackout, so you can make sure your screens (and eyes) are unaffected by glare. Another powerful option for maximum sun protection and light/heat control is solar shades. Often referred to as “sunglasses for your windows,” these stylish shades block UV rays (reducing heat and damage to your furnishings) while also blocking out light. Like cellular shades, they can be found in multiple opacities, including blackout, and you can also buy external versions if your viewing area is adjacent to a patio or porch. If you’re looking for the ultimate in convenience and comfort, consider adding motorization to your media room window treatments. With the push of a button, you can black out the room to watch a film, and then bring back the sunlight with another push when the credits roll. 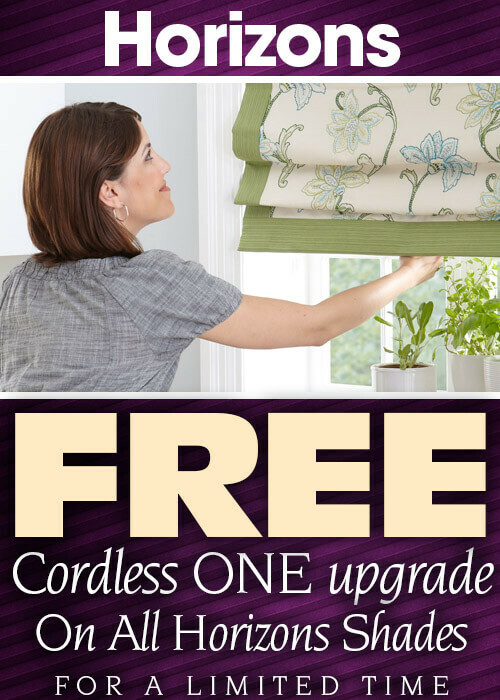 And beyond the convenience factor, motorized blinds and shades are much safer for children and pets (no cords!) and offer greater longevity thanks to reduced manual adjustment. You don’t have to feel like you’re sitting in “the cheap seats” when you’re enjoying some screen time at home. Reach out to the window treatment experts at Made in the Shade for a free consultation, and find out how you can tune into a better way to watch television and movies at home.